C & J A/C and Electrical is proud to serve the Tatum community! About Tatum, TX - Happy to be your hometown Heating & Air Conditioning Contractor! Tatum, Texas is a small city located in both Rusk and Panola counties. As of 2010, the population was approximately 1,400 people. The community consists of 3.8 square miles of total area, all of which consists of land. This community was originally settled by Albert Tatum in the 1840s, and as the Santa Fe Railroad was built through the area in 1885, Tatum was divided into separate lots. In the early20th century, Tatum was plagued by a series of natural disasters beginning with a tornado that destroyed part of the town and ending with a fire that damaged most of the community’s northern portion. Tatum is easily accessible via State Highways 43 and 149. 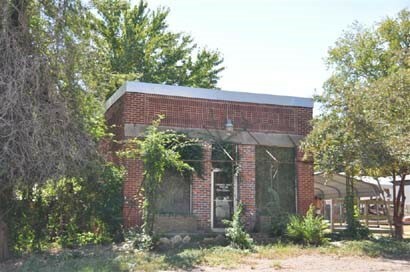 Tatum is a historic community, and there are a few great sites to see here that will explore the history of the area. Located in the city park is a restored depot rom the Santa Fe Railroad. The historic Tatum Cemetery is also found in the community. This destination started as a burial site for Albert Tatum, but today, the cemetery serves as a memorial of the pioneers and other early community leaders who contributed toward the development of the town. Outdoor recreation is also popular in Tatum with destinations like Hendrick’s Lake and Martin Creek Lake State Park both being found in the near vicinity. The weather in Tatum is characterized by mild to cool winters and hot, humid summers. From December through February, high temperatures will generally reach the mid-50s, which is quite comfortable compared to other areas in the U.S. However, some cold weather will occur, and when temperatures fall, ice and sleet storms can move into the area. An efficient home heating system will keep interiors warm. Spring in Tatum is a good time to have air conditioning units serviced, as the upcoming summer season will likely be intense. Temperatures of the 90s and up into the 100s are common, and high humidity levels can make it feel even more uncomfortable. A properly-serviced air conditioning unit can improve indoor air quality while keeping homeowners comfortable.